Sponsoring a child through Daisy’s Children allows you to directly affect and change a child’s life! In addition, you can share your life and correspond with them regularly. Because of the continued travel of our volunteers, sponsors can send personal notes, exchange pictures, and special gifts with their child. You can hear their appreciation and find out how you are changing their lives every step of the way. Unlike other donations and sponsorships, your sponsorship dollars are spent directly on the nutritional and educational needs of your child. Your funds go directly to your child in the form of medical assistance, food, vitamins, school supplies, books, and so much more. You can sponsor a child and for as low as $25 a month, less than $1 per day. For less than what you spend on a beverage, you can change a child’s life in the most powerful way! Sponsorships are made in increments of $25. 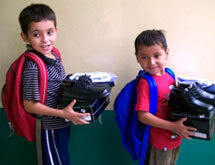 Sponsoring a child is easy and a great way to show your support directly to the children and families of Honduras. The impact such an act will have, even on your own life, is immeasurable. You do not need a Paypal account to use this feature. You can sponsor using your bank account or any major credit card. Safe and secure monthly transactions help us provide the necessary food, clothing, education and much more! Sponsor the programs of Daisy’s Children and help us provide for ALL the needy children in our programs! All program sponsor dollars directly support the basic needs of participants who are currently unsponsored. These funds also help to provide financial support for our daycare, and extending medical and dental needs or emergency concerns. Help our programs grow and succeed for the children! 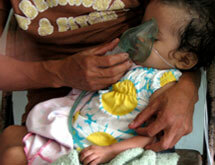 Sponsor one of our specific projects to aid in the growth and support of the children of Daisy’s. All specified project sponsor dollars directly support one of our projects which help families and children lead healthier happier lives. Some of our projects include Daycare Center, Sewing Center, Clean Water Project for Schools & Families, Vocational Center, and much more. Help our projects grow and succeed for the children!